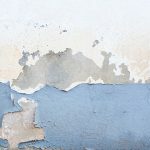 If you have stucco installed on your home, you may have noticed signs of staining, blistering, or mold on the stucco wall. 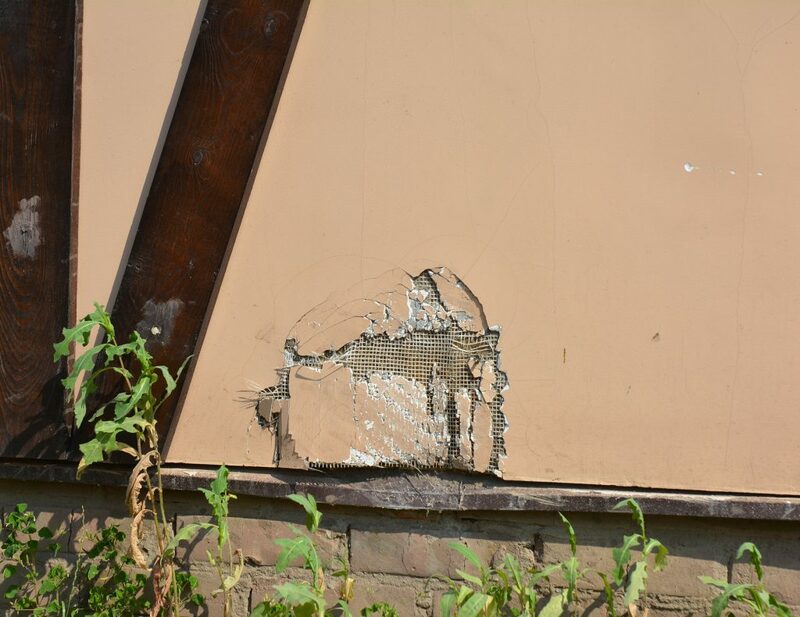 These are the most common signs of stucco damage all stemming from the same culprit, water. 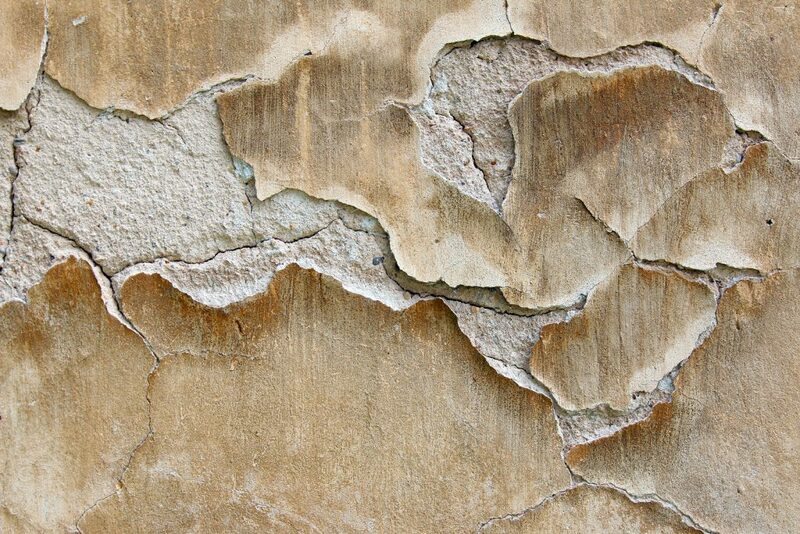 Water can damage your stucco walls through surface moisture, hydraulic pressure, and wicking. 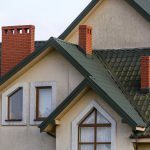 Knowing how to spot each one of these causes will help you to treat and prevent further stucco damage to your home. It is rather common for houses to have flower beds surrounding the base of the house and flower beds need water. If you’re someone who uses sprinklers in your flower beds, you want to be sure that these sprinklers are installed correctly. When not installed correctly, sprinklers can miss your plants and spray water directly onto the base of your stucco walls. This can lead to efflorescence, which creates a powdery coat on the surface of your stucco and can cause serious blistering. In some cases, the paper moisture barrier can be damaged and fail to keep moisture away from the wall causing mold to grow which can cause structural damage as well. Another cause of surface moisture is a lack of gutters on your house. Without gutters, there is no way to direct rainfall away from your home. The rainwater will drain off the roof of your home and run down the stucco wall. A clear sign for this type of stucco damage is a dirty surface at the base of the house. The easiest way to prevent this is to have a good gutter system that allows water to flow away from your house. Hydraulic pressure is when water migrates from behind the stucco wall, particularly in retaining walls which section off earth or water. It can lead to efflorescence and eventually blistering. 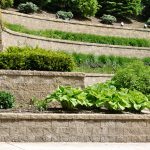 To prevent stucco damage from affecting your retaining walls, create a moisture barrier that has good drainage. This will allow the water to escape from behind the wall, rather than building up and causing damage. Also, it is recommended that you refrain from painting retaining walls because of the increased risk of blistering. Painting will simply add more maintenance to your home. Wicking occurs when moisture is absorbed into the plaster of a stucco wall. It can lead to staining, efflorescence, and blistering. When this happens, it is most likely as a result of improper installation or lack of a weep screed. A weep screed is positioned between the stucco surface and the moisture barrier. When moisture gets through the stucco surface, the water runs down the screed and escapes through the weep holes. Weep screeds were not used when installing stucco on houses until the 1970’s. Without a weep screed, stucco damage can easily occur for walls that are plastered all the way to ground level. If your house does have a weep screed, be sure that it was installed correctly. Typically, you want your screed to be installed at least 8 inches above grade and paving. A weep screed can be ignored by pouring concrete up against it or if a homeowner buries the screed with planters. Make sure that your weep screed can operate properly so that you can prevent stucco damage. Stucco damage can lead to many problems for your house, from staining to structural damage. Royal State Construction can help you prevent or repair stucco damage. 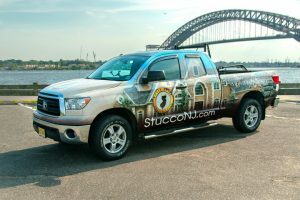 We specialize in stucco installation on exterior and interior elevations in New Jersey. 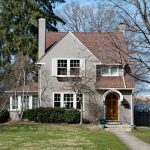 Using the best quality materials, we insulate your home while improving its aesthetic value. 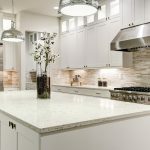 Take a look at our transformations to get a “before and after” look at our past projects or contact us today to get started.